Guiborat | Coeur Wine Co. Practicing organic. 100% Chardonnay. 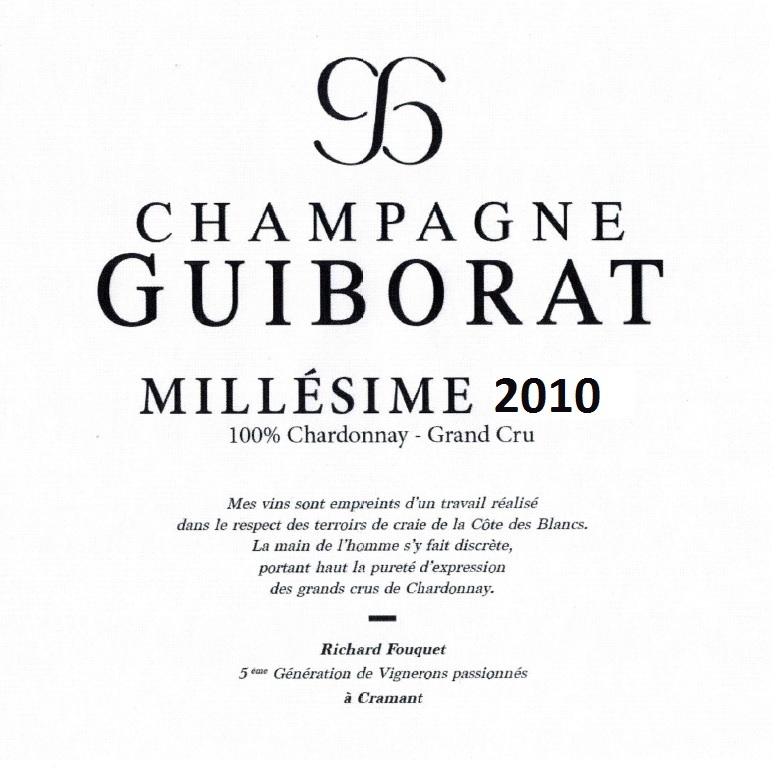 Sourced from 3 parcels in Grand Cru villages in the Cote de Blancs. From Cramant – Les Bergeries (planted in 1984) and from Chouilly- Le Mont Aigu (planted in 1970 and 1979) and Les Caurés (planted in 1946 and 1998). Deep chalk soil. The older vines of Chardonnay (all are over 30 years old), from parcels which give the best expression of the chalk make up the cuvee Prisme. For Prisme only the first juice of the press is used. The grapes from each parcel are kept separate and vinified individually in stainless steel (94%) and neutral 400 liter barrels (6%) to keep the identity of each terroir. After fermentation the base wines have a lengthy elevage on their lees (at least 7 months) until assemblage and bottling the following Spring. In Richard’s quest for an absolute minimum of intervention and transparency, malo is blocked on the base wines. 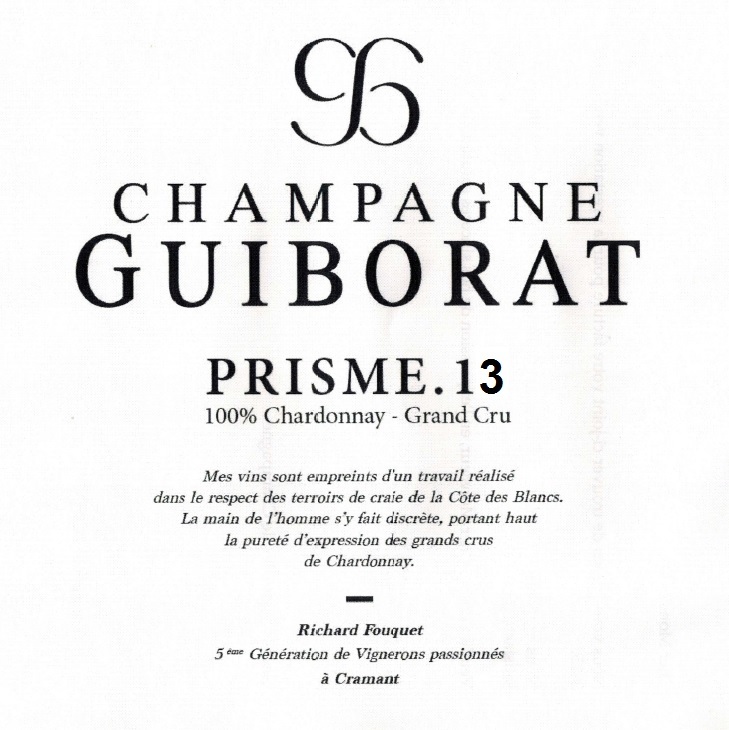 The goal of Prisme is an emphasis on the chalk of Cramant and Chouilly. Currently 2013 vintage. 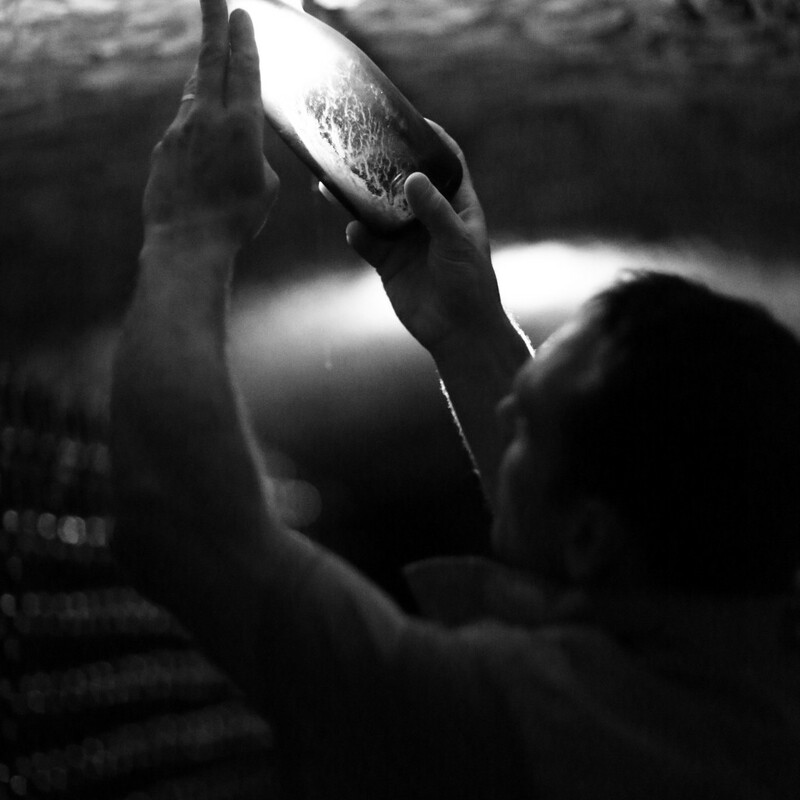 Aged for a minimum of 44 on the lees months in the chalk cellars beneath the winery before disgorgement. Dosage of 4.5 g/l. 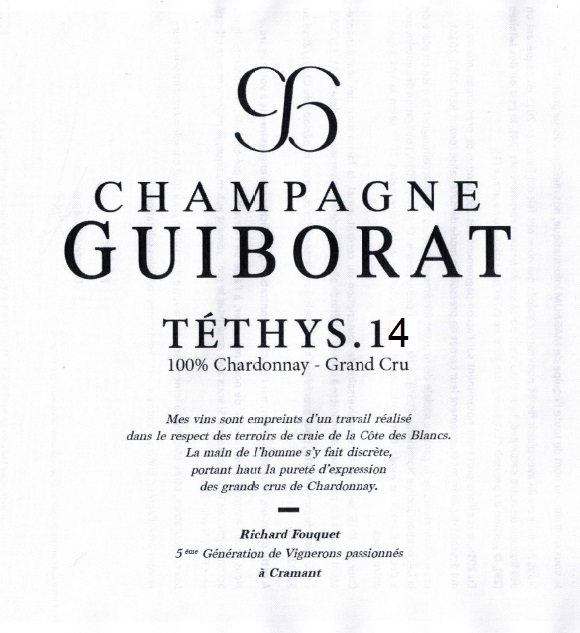 Aged an additional 6 months after disgorgement before release. Practicing organic. 100% Chardonnay. 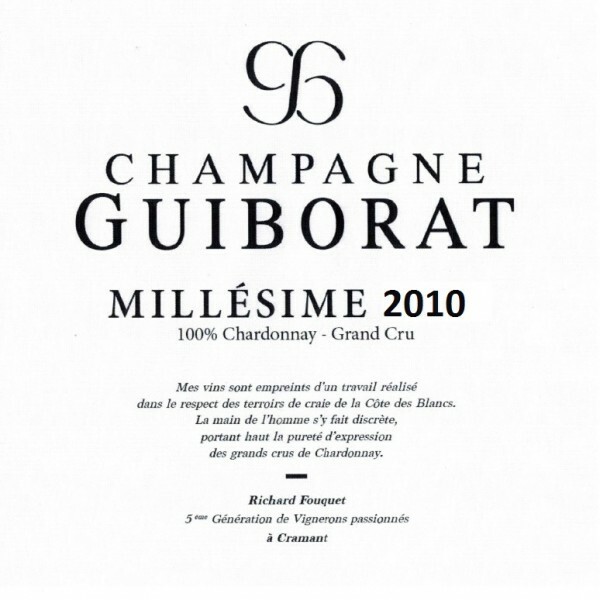 Sourced from 4 parcels in Grand Cru villages in the Cote de Blancs. From Cramant – Les Bergeries (planted in 1984) and from Chouilly- Le Mont Aigu (planted in 1970 and 1979) and Les Caurés (planted in 1946 and 1998) along with 5th parcel, Les Briquettes (planted in 1969) from Oiry. Chalk is the dominant soil type in all his parcels though here there are some alluvial and clay top soils interspersed with the pure chalk. The grapes from each parcel are kept separate and vinified individually in stainless steel to keep the identity of each terroir. After fermentation the base wines have a lengthy elevage on their lees (at least 7 months) until assemblage and bottling the following Spring. In Richard’s quest for an absolute minimum of intervention and transparency, malo is blocked on the base wines for every cuvee except this one- where a small amount is permitted. Tethys – named after the Greek goddess of the sea and the name of the ancient ocean which previously covered Champagne- emphasizes the pleasure and fruit of Chardonnay. Currently 2014 vintage. 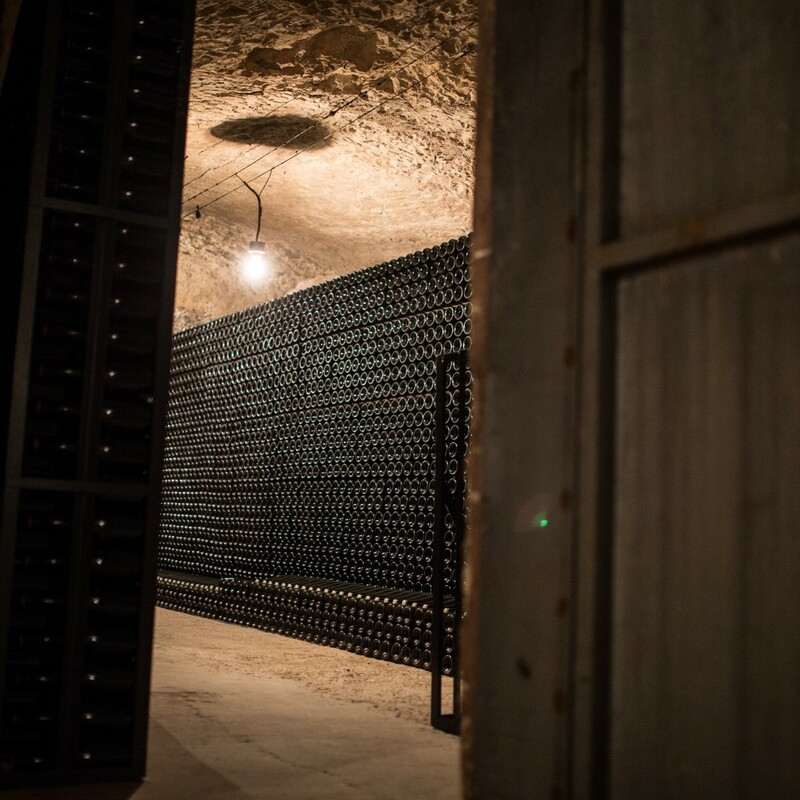 Aged for a minimum of 30 months on the lees in the chalk cellars beneath the winery before disgorgement. Dosage of 5.5 g/l. Aged an additional 6 months after disgorgement before release. Practicing organic. 100% Chardonnay. For the 2010 it was sourced from 1 Grand Cru parcel in Chouilly- Le Mont Aigu (planted in 1970 and 1979) but it can include Les Caurés as well in a given year. These two vineyards give a yin and yang of Chouilly. Les Caurés has a northeastern exposure on fractured chalk which gives wines with a chiseled, nervy structure whereas Mont Aigu, with a southeastern exposure, gives richer and very ripe wines. Chalk soils. 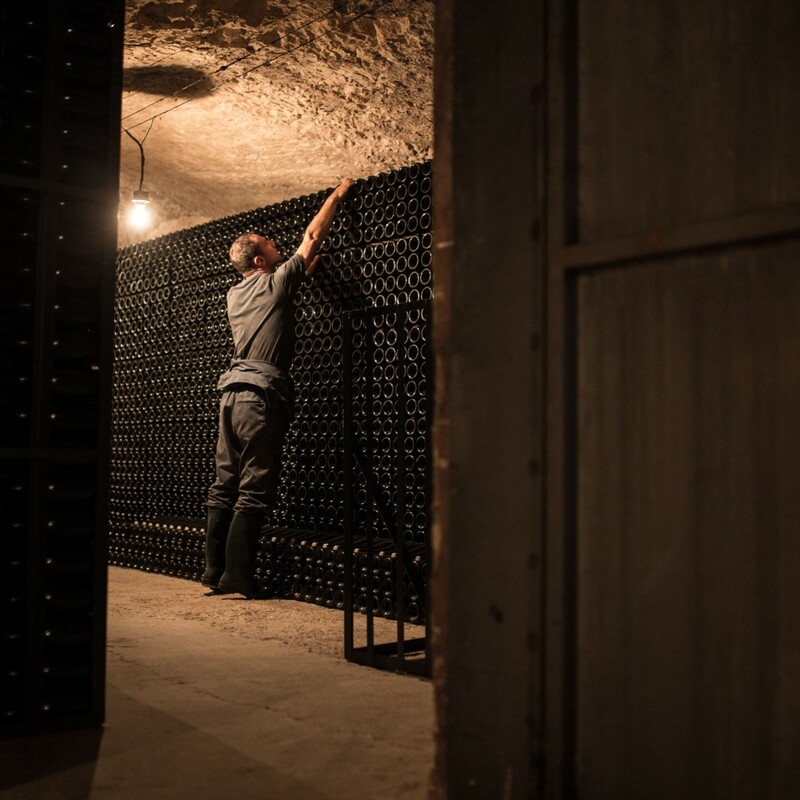 The grapes from each parcel (only Mont Aigu in 2010) are kept separate and vinified individually in stainless steel to keep the identity of each terroir. Only the juice of the first press is used. After fermentation the base wines have a lengthy elevage on their lees (at least 7 months) until assemblage and bottling the following Spring. In Richard’s quest for an absolute minimum of intervention and transparency, malo is blocked on the base wines. 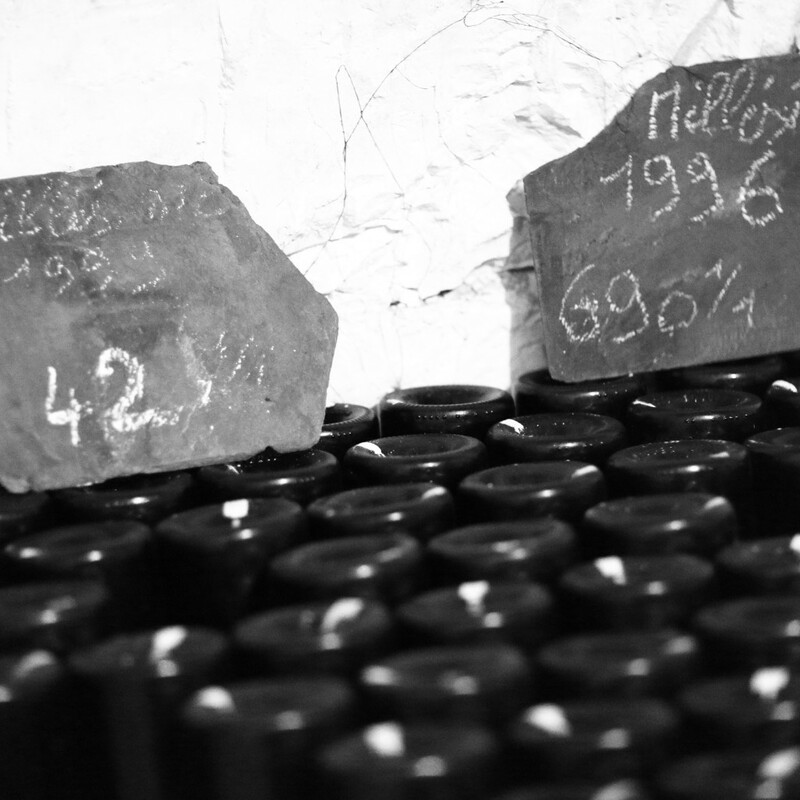 The goal of the Millesime is to capture the quintessence of the terroir of Chouilly. Currently 2010 vintage. 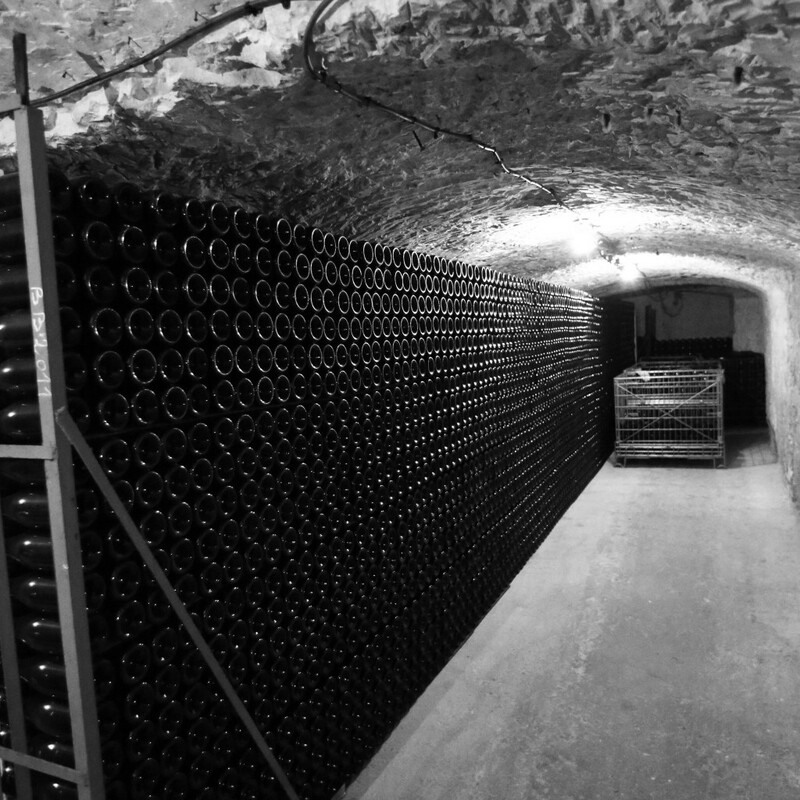 Aged for 79 on the lees months in the chalk cellars beneath the winery before disgorgement. Dosage of 4.5 g/l. 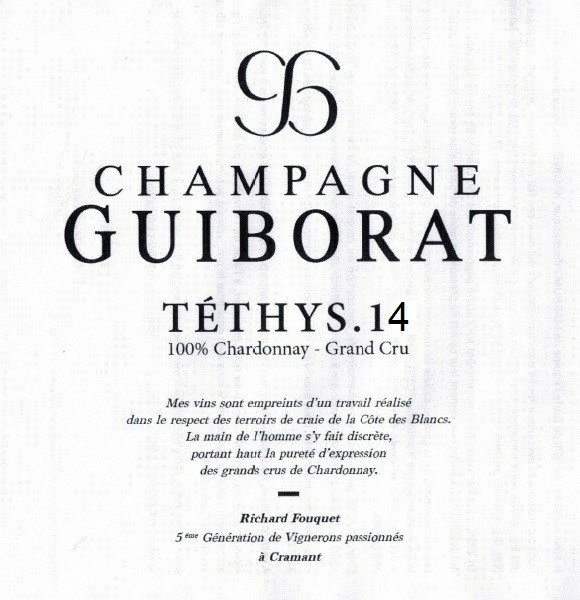 Aged an additional 9-12 months after disgorgement before release.